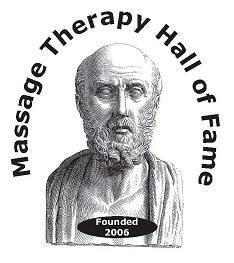 “Blending the Art & Science of treatment, therapy and comfort interventions using Natural approaches." 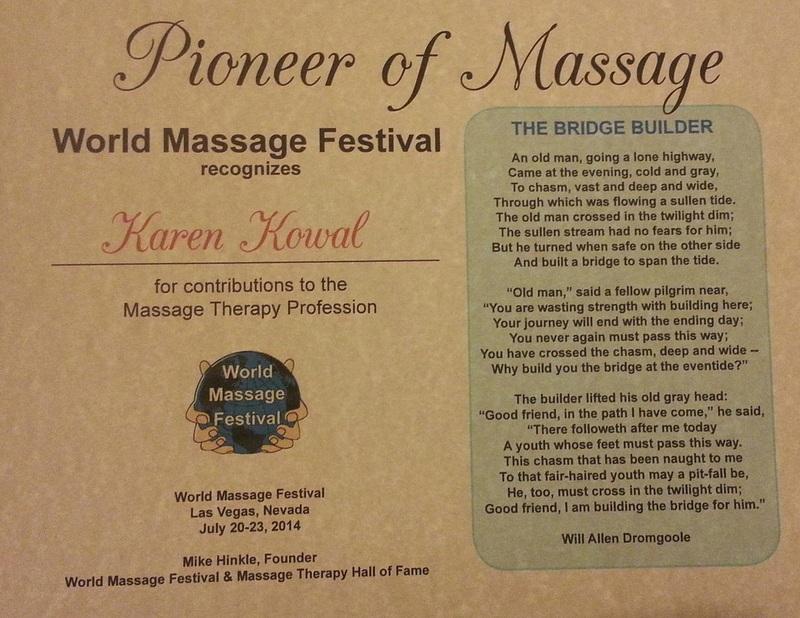 and quality of life improved"
Karen was Inducted into the Massage Hall of Fame on July 21st, 2014 during the 9th Annual World Massage Festival in Las Vegas, Nevada for her 20 years of providing Massage Therapists a solution to their pain and for her contributions to Massage Therapy with her All-Natural Products, Mother Earth Pillows﻿®. Karen Kowal, RN, LMT and Nurse Entrepreneur, began her work of passion after her 50th birthday. She blended a background rich in Western medical training and experiences with Complementary approaches of massage and aromatherapy along with a love of sewing and gardening to create a new path. Identifying a need in 1995, she stepped outside a 30+ year comfort zone as a nurse to start her company in her basement. Committed to using only natural components, she designed and developed therapeutic hand-crafted products for those living with chronic pain and stress. Today Mother Earth Pillows﻿® products are recognized as a leading Complementary Care Product company made in the USA. 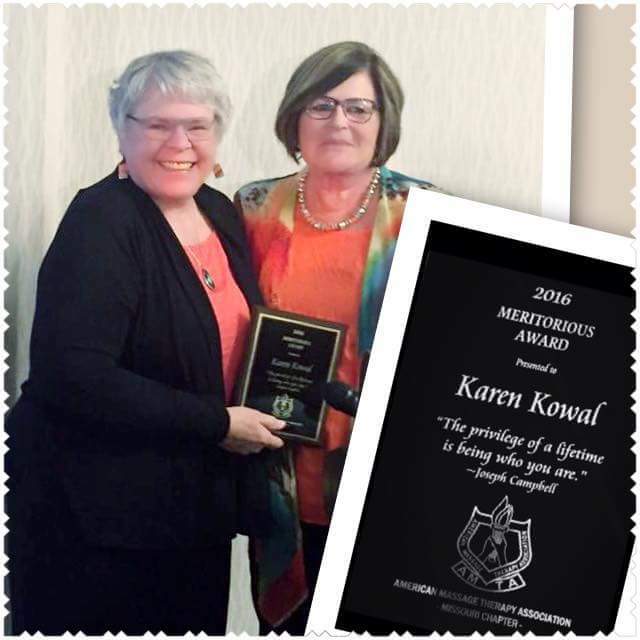 Karen has had experience as a frequent presenter for medical staff, Nurses, Pain Management Nurses, Hospice & Hospital staff & volunteers, Chronic Pain and Fibromyalgia groups at state, national and international conferences since 1993. Topics are diverse and focus on the science behind symptom-directed, safe and cost-effective natural approaches for client /patient care. She has developed ‘hands-on’ techniques using Mother Earth Pillows®. Applying very specific directional compression and stretching through the heated flax pillows provides an effective fresh and original therapeutic massage modality. As a Nationally Board Certified Therapeutic Massage and Bodywork Education Provider, Karen has been teaching Pillossage and Thermal Massage techniques classes across the USA and Canada since 2009. Additional applications can be taught to and used by patients, family and professional caregivers for Self-Care. Research has validated using Mother Earth Pillows® for patients in Universities and Hospitals: after Open-Heart Surgery, Post-Op Spinal surgery at Shriner’s Hospital for Pain Management, Cancer Pain in Cancer centers, Rehab in VA hospitals, Hospice centers, for Autism Behavioral Interventions and for Fibromyalgia Pain. Today, there are many more opportunities for research. If Interested, Please contact ﻿Mother Earth Designs, Inc﻿. pain management have expanded to Chronic Pain Centers, Hospitals, Physical Therapy departments, Spas, Massage Therapists on a National and International level. Web Solutions that work across All Platforms!